Applications are invited for the position of Chief, Department of Emergency Services at Sunnybrook Health Sciences Centre in Toronto, Canada, a fully affiliated academic Health Sciences facility of the University of Toronto. Effective start date is January 1, 2019, or as mutually agreed upon. The Chief will be responsible for clinical and academic matters within the Department, for providing institutional leadership on issues related to emergency services and for ensuring effective and efficient program operations. Candidates must hold an MD and have certification in Emergency Medicine from the Royal College of Physicians and Surgeons of Canada, the College of Family Physicians of Canada, or equivalent qualifications and will be qualified to hold a clinical full time academic appointment at the University of Toronto at the rank of Associate or Full Professor in an appropriate clinical department. Equally important will be the vision to continue integration with Sunnybrook’s programs and strategic priorities as well as with our broader community; excellent interpersonal skills; strong leadership capabilities; experience and knowledge regarding the recruitment of academic physicians; a record of peer-reviewed research; leadership in undergraduate, postgraduate, fellowship, continuing medical education or patient education; and/or demonstrate leadership in model service delivery as a creative professional academic activity. Sunnybrook plays a leadership role in the Ontario health care system and in caring for its community through nine comprehensive programs: Integrated Community; Holland Bone and Joint; Hurwitz Brain Sciences; Odette Cancer; Women and Babies; Schulich Heart; Tory Trauma; St. John’s Rehabilitation; and Veterans. . Sunnybrook has identified five strategic priorities in: Trauma (including burns and critical care), Complex Cancer, Image-Guided Heart and Vascular, High-Risk Maternal and Newborn Health, and Image Guided Brain Therapies. Sunnybrook is committed to high quality inter-professional education and is the home of one of the University’s four Academies for undergraduate medical education in addition to providing postgraduate and fellowship training in virtually all disciplines. 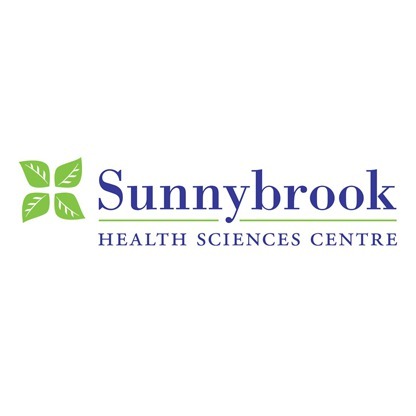 The Sunnybrook Research Institute is one of the fastest growing hospital-based research enterprises in Canada with well-established programs in basic and applied research, conducting $100 million in research each year, developing innovations in care for more than one million patients annually, and passionate about providing rewarding educational experiences for more than 2,000 students each year. Estimated remuneration, including clinical income and administrative protected time, will be in the range of $250,000 - $350,000 and commensurate with academic rank, qualifications and experience. Sunnybrook Health Sciences Centre and the University of Toronto are strongly committed to diversity within its community and especially welcome applications from racialized persons/ persons of colour, women, Indigenous/Aboriginal People of North America, persons with disabilities, LGBTQ persons, and others who may contribute to the further diversification of ideas. All qualified candidates are encouraged to apply; however, Canadians and permanent residents will be given priority. Consideration of candidates will begin in September 2018. The search will remain open until filled. To explore this exciting challenge further, interested applicants may direct enquiries and submit their CV and the names of three referees in confidence to the address shown below.